I am Reblogging this post that my bookish bestie posted because I can’t really say enough about this author! 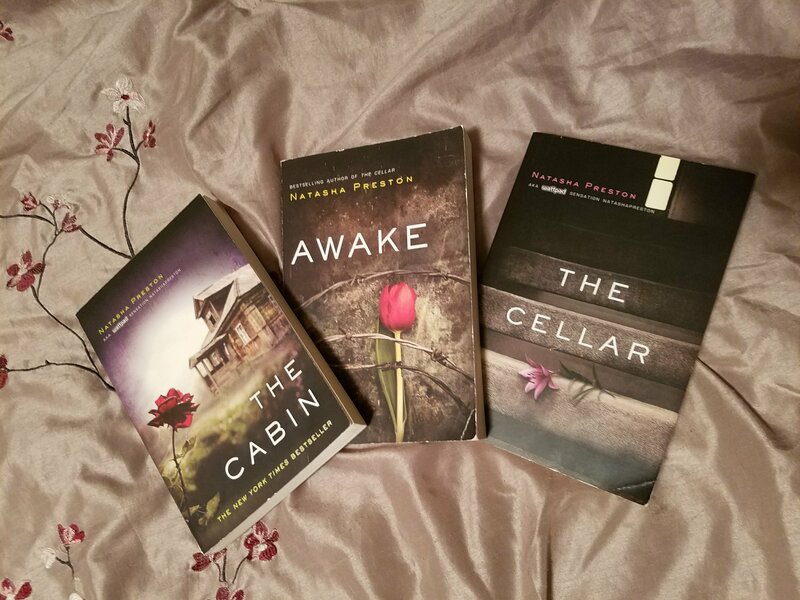 I loved “”The Cabin” and I just finished “The Cellar”… I started this book yesterday morning and read into the wee hours of the morning because I couldn’t put it down! My heart literally raced and my skin literally produced hair raising chills at times through this book. If you love thrillers and suspense, you are cheating your bookshelf if you leave this one off! I wanted to take a moment to share one of my favorite authors. Natasha Preston isn’t widely known but she is absolutely amazing! All of the books of hers that I have read I have absolutely loved. All her stories are completely different, but absolutely amazing in their own way. In addition to these I have read the complete Silence series and Save me. She has a brand new book out called Reliving fate that I haven’t read yet, but I absolutely can’t wait for. So if you are looking for a new wonderful author, definitely give her a try! !